The trial for diesel-run coach was conducted between Heritage Museum and Shimla railway station. The heritage track on which diesel-coach was run is 900 metre long. Railway officials have conducted a successful trial of diesel-run coach between Heritage Museum and Shimla railway station. The decision to run a joy ride or any other train on the track is yet to be taken. A railways official said, "The trial has been successful on the 900-metre-long heritage track. 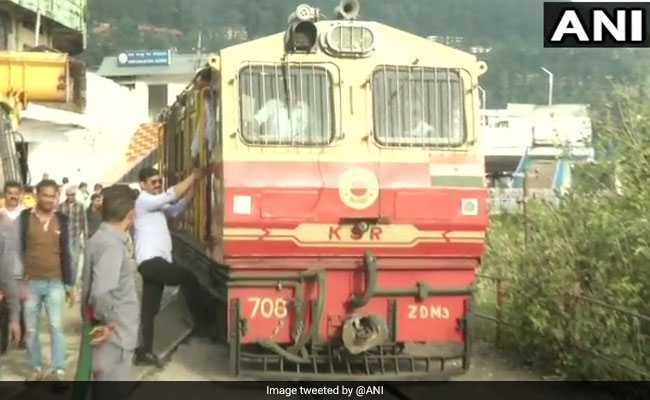 This trial has been conducted nearly after 20 years as no train had been running on the track between Railway Heritage Museum and Shimla Heritage station since 1999." In 1997, four trains had started from Shimla extension and were functional till 1999. Prince Sethi, the station superintendent, said, "This trial with a diesel locomotive was conducted to check the operational physicality of the track." "A joint report would be sent to the divisional office of the northern railway after making it operational. The final decision to run a joy ride or any train in this heritage track would be taken by the divisional headquarters," he added.